BULLET PARTY 2 AVAILABLE NOW!!! You are in a huge battlefield against real enemies. Choose your team and keep your brigade up and steady. You can choose; your combat style, strategy and gun. When you feel ready to battle: pull the trigger and start the fight! You need minimum 50K over kill number to become the best killer under heavy enemy fire and air strikes with a big blitz. Having hard time? Call your brothers and summon them in the battlefield for impossible duty to become the leader. Show your combat skills to prove yourself in the warfare. Beware of the hidden assassins speed is never down don’t let your guard down! If you are dead don’t forget where you get hit for counter strike get your revenge. Good luck! – Local and global leader boards. 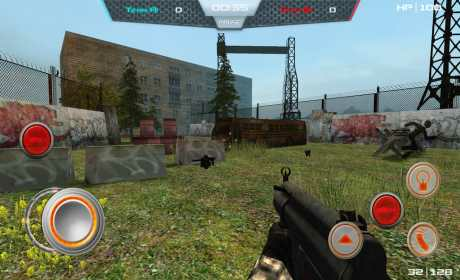 – Range of weapons from Desert eagle, AK-47,Mp5, M87-T, M79, Stw-25, Sniper, RPG and Pro-Knife! 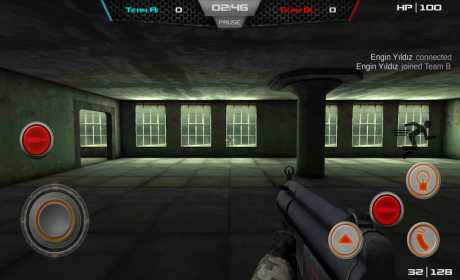 – MO- FPS that you’ve never experienced before on Mobile! 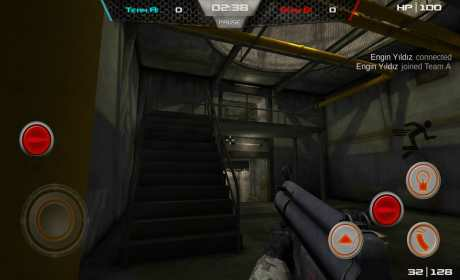 – World’s first real-time multiplayer gun battle(Shooting) on mobile. – Easier controls with UI customization. Works on any device! – Unique sound effect/character action for each weapon. – Realistic graphics with more sophisticated lightings. Important: Connect the game server by WIFI or 3G network, WIFI is better.